Home / Specials / Buy a 500 count Super Red European Night Crawler get a T shirt for only $5! Make sure to select you $5 T shirt here! 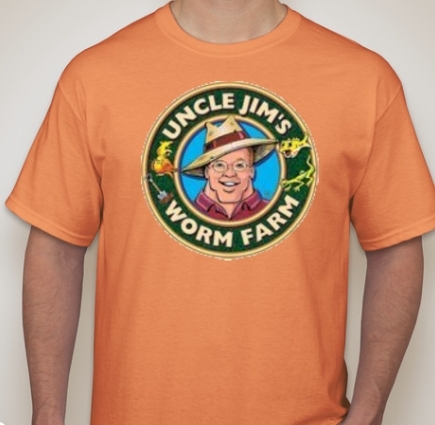 Show your worm pride with one of our t-shirts! USPS 2-3 day Priority mail- $9.50 for first unit. 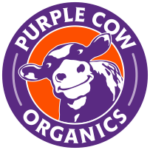 $4.00 shipping cost for each additional unit ordered. My Super Reds are doing great! My Super Reds arrived a little tired and shrunken, but overall in good condition. They have come to life with vigor in the few weeks since. They are long and plump now! I am very happy to have added them to my farm. I look forward to growing a large population of them in the future. 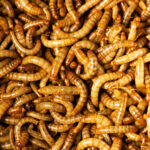 I receive my worms quickly, but they were all extremely small. 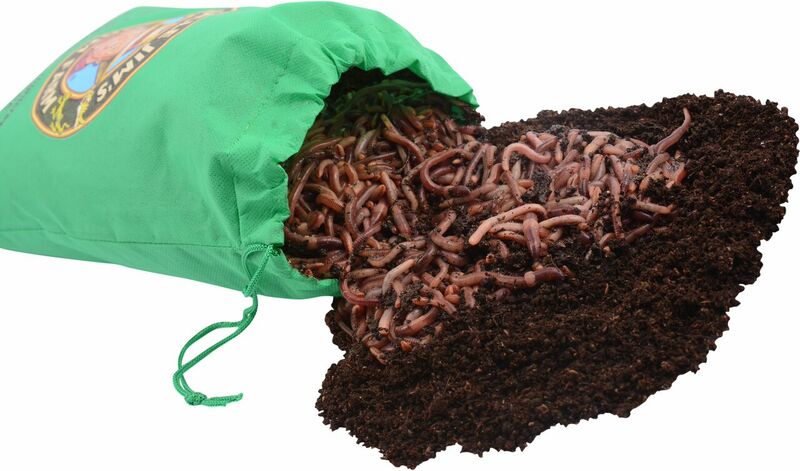 Called customer service and they assured me they were what I ordered, but due to the season all the worms were young. Worms are all doing great and growing to maturity. Thank you all. Worms all came as expected! All worms came alive and thriving!